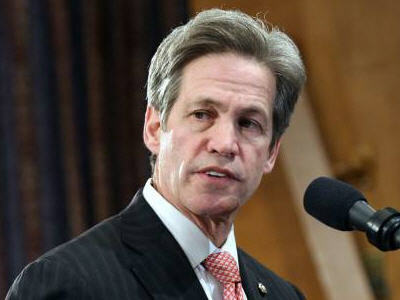 Norm Coleman is the national chairman of the Republican Jewish Coalition. He is also senior counsel at the law firm, Hogan Lovells, where he advises clients on foreign affairs and related legislation. He is also a registered lobbyist and adviser for the government of Saudi Arabia and the Georgian Oil and Gas Corporation. Coleman’s efforts on behalf of the Saudis drew attention as U.S.-Saudi relations became strained in the wake of the murder of journalist Jamal Khashoggi and increased scrutiny on the Saudi-led bombing campaign in Yemen. Coleman described his work for the Saudis in an interview with a Minneapolis television news show. Journalist Eli Clifton speculated that Coleman’s work in the House of Representatives may have been a key factor in House GOP leaders—notably, Speaker of the House Paul Ryan (R-WI)—quashing a vote on whether to continue U.S. support for the Saudi war in Yemen. “The House GOP’s decision to go to the mat for the House of Saud might be partially explained by the fact that a longtime lobbyist for Saudi Arabia sits in a position to control a significant portion of the party’s campaign-related spending,” opined Clifton, referring to Coleman. In 2003, Coleman was elected to the U.S. Senate representing Minnesota. He served one term before being defeated in 2008 by Democrat Sen. Al Franken. He later advised Mitt Romney’s 2012 presidential campaign. Coleman has been a longtime opponent of diplomacy with Iran. In a triumphalist op-ed written after President Donald Trump announced that the United States was leaving the Iran nuclear agreement, Coleman wrote, “So, where does the end of U.S. participation in the JCPOA leave us? Right where we should be, back in the driver’s seat, in a position where we can engage with Iran and other world leaders to do what we should have done the first time: End Iran’s nuclear weapons program.” He did not address the fact that the entire world, including members of Trump’s own cabinet, thought that the deal was working. In May 2018, Coleman facilitated a meeting between leaders of Republican fundraising groups and Republican mega-donor Sheldon Adelson. At the meeting, which occurred just days before Trump’s announcement that he would pull out of the Iran deal, Adelson agreed to donate $30 million to republican campaign funds, monies that were desperately needed to combat an expected surge in pro-Democratic voting in the November mid-terms.The timing of the donation led some observers to conclude that it was motivated, at least in part, by Trump’s decision, given Adelson’s outspoken support for right-wing Israeli policies, especially opposition to the Iran deal. A board member of the Republican Jewish Coalition, a rightwing “pro-Israel” group whose donors include Sheldon Adelson, Coleman has echoed common Republican criticisms of President Obama’s statements on Israel. “Israel’s position has been undermined,” he told the Weekly Standard in September 2011. “[Obama’s] statement about going back to the pre-’67 borders, his statements focused on settlement issues that the problem is coming from Israel. Obama’s approval ratings in Israel are in the single digit level for good reason, and by his acts, by his words, he has undermined a confidence that Israel has in the support of what should be its strongest ally.” A poll released in December 2011, however, showed Obama with a 54-percent approval rating among Israeli Jews. A former Democratic mayor of St. Paul, Coleman became a Republican in 1996 as his relationship with the state Democratic Party soured. In 2002, at the urging of the George W. Bush administration, Coleman challenged Democratic Sen. Paul Wellstone, a national liberal icon and Iraq war opponent who was killed in a plane crash days before the election. Coleman went on to defeat replacement candidate Walter Mondale but narrowly lost his 2008 bid for election to comedian Al Franken. After leaving office, Coleman founded the American Action Network, a conservative advocacy organization with ties to Karl Rove’s American Crossroads. 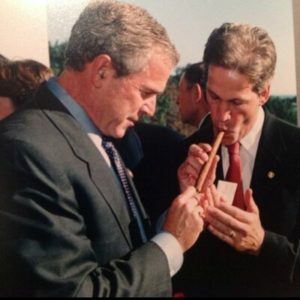 Michael Warren, “Norm Coleman Advising Romney on Middle East, Latin America,” Weekly Standard, September 21, 2011, http://www.weeklystandard.com/blogs/norm-coleman-advising-romney-campaign-foreign-policy_594030.html. Julia Pecquet, “Romney adviser Norm Coleman predicts GOP president won’t repeal health law,” The Hill, January 24, 2012, http://thehill.com/blogs/healthwatch/politics-elections/206077-romney-adviser-norm-coleman-predicts-republican-president-wont-repeal-health-law. CNN, “Coleman: Syrian situation would be different if Romney was president,” May 30, 2012, http://johnkingusa.blogs.cnn.com/2012/05/30/coleman-syrian-situation-would-be-different-if-romney-was-president/. Republican Jewish Coalition, Biographies, http://www.rjchq.org/About/bioslisting.aspx. Howard LaFranchi, “President Obama sees popularity boost in Israel,” Christian Science Monitor, December 3, 2011, http://www.csmonitor.com/USA/Foreign-Policy/2011/1203/President-Obama-sees-popularity-boost-in-Israel. See CNN, “Key GOP senator opposes Bush’s Iraq plan,” January 22, 2007, http://articles.cnn.com/2007-01-22/politics/iraq.congress_1_key-gop-senator-iraqi-troops-deployment?_s=PM:POLITICS. Eric Black, “Coleman and Franken on Iraq: Everything you need to know,” MinnPost, August 7, 2008, http://www.minnpost.com/eric-black-ink/2008/08/coleman-and-franken-iraq-everything-you-need-know. Library of Congress, S.AMDT.3017 Bill Summary, http://thomas.loc.gov/cgi-bin/bdquery/z?d110:SP3017:. Hilary Leila Krieger and Gil Hoffman, “US Senator Coleman: ‘If action is going to be taken, it’s not going to be Israel alone,’” Jerusalem Post, October 19, 2007, http://www.jpost.com/International/Article.aspx?id=78971. Jonathan Salant and Kristin Jensen, “`Shadow Parties’ Share Leaders, Republican Roots In Congress Campaigns,” Bloomberg, October 15, 2010, http://www.bloomberg.com/news/2010-10-15/-shadow-parties-share-leaders-republican-roots-to-fuel-campaign-spending.html.